What is Spiritual? : Ruling a nation God's way? Ruling a nation God's way? "BOTTOM LINE. You want to love your sin and the things you want to do then bend the knee to God. But unfortunately for you Richard if you don't bend the knee before you die you will be bending your knee in hell and praising Jesus Christ anyways." For those of you who are not familiar with hell, it is a place created by God for sinners to be burned alive for all eternity. Now the picture that Wes presents here is one where not only am I burning alive, but I am forced down on my knees to sing praises to Jesus. I'm not perfect, but I have a hard time coming up with anything I could possibly do that would deserve this type of punishment for all eternity and still be considered just and loving. Its also hard to conceive of any possible motivation for a God who claims to value justice and love to maintain this sort of place for all eternity. What is disturbing is that this type of solution is considered to be moral and ethical behavior by God. I do have some concerns about the possibility of people, who believe this way, taking over the justice system in the United States. As I have read about various Christian organizations and their goals to reform the justice system in this country I have wondered how far they really wanted to go. There has been a resurgence of Calvinism in recent years among young Christians according to the blog Church Matters. While I doubt any of these young people would endorse many of the things that Calvin did, I think it might be important to observe how Calvin applied his beliefs. 2. (page 128) November 10, 1536 - Confession of faith presented, entitled "Confession of Faith, which all bourgeois and inhabitants of Geneva and subjects in its territories should swear to keep to and hold." - This document granted the right of the government to excommunicate offenders and protect the innocent by chastising the guilty. 3. (page 128) January 16, 1537 - Geneva authorities approve the Confession of Faith and the separate articles PRESENTED BY CALVIN. 4. (page 129) 1537 - One provision of the Confession of Faith and its articles included that pious images kept in people's private homes must be destroyed. 6. (page129) April 1537 - At CALVIN'S INSTIGATION city officials including captains and district wardens were commanded to go from house to house to ensure that the inhabitants subscribe to the Confession of faith. 7. (page 129) October 30,1537 - There was a final attempt to obtain a confession of faith from all who had been hesitating. 8. (page 129) November 12, 1537 - District by district, all those who had not made the confession of faith were ordered to leave the city. 9. (page 180) February 1545 - "Freckles" Dunant dies under torture without admitting to the crime of spreading the plague. His body was then dragged to the middle of town and burned. 10. (page 180) 1545 - Following the incident with Dunant, several more men and women were apprehended including a barber and a hospital supervisor who had "made a pact with the devil." 11. (page 180) March 7, 1545 - Two women executed by burning at the stake (presumably for the crime of sorcery, i.e. spreading the plague). CALVIN INTERCEDED apparently to have them executed sooner rather than later after additional time in prison. The Council followed his directive happily and urged the executioner to "be more diligent in cutting off the hands of malefactors." 12. (page 180) 1545 - more executions, tortures carefully watched to prevent death. Most of the tortured refused to confess. Means of death varied a little to include decapitation. All under the crime of spreading the plague. Some committed suicide in their cells to avoid torture, afterward the rest were handcuffed. One woman then through herself through a window. 13. (page 208) 1545 - CALVIN HAD the magistrates seize Belot, an Anabaptist (against infant baptism) for stating that the Old Testament was abolished by the New. Belot was chained and tortured. 14. (page 180) May 16, 1545 - The last execution concerning the plague outbreak, bringing the total dead to 7 men and 24 women. A letter from CALVIN attests to 15 of these women being burned at the stake. CALVIN'S only concern was that the plague had not come to his house. 15. (page 189) April 1546 - Ami Perrin put on trial for refusing to testify against several friends who were guilty of having danced. She was incarcerated for refusal to testify. 16. (page 190) July 1546 - Jacques Gruet was accused of writing a poster against Calvin. He was arrested and tortured until he admitted to the crime. He was then executed. 17. (page 177) November 22, 1546 - CALVIN DRAWS up a list of names inappropriate for baptism (i.e. inappropriate for naming children). CALVIN'S position insisted that a name appear in the Bible, or it was inappropriate. 18. (page 217) February 13, 1547 - CALVIN WRITES to the man who would preside over the burning of Michael Servetus. In the letter CALVIN WRITES, "For if he [Michael Servetus] came, as far as my authority goes, I would not let him leave alive." 19. (page 189) Thursday, June 23, 1547 - Several women tried for having danced, this time including Ami Perrin. 20. (page 192) September 23, 1547 - Francois Favre was prosecuted for having said that Calvin had proclaimed himself bishop of Geneva. Favre, Perrin, and his wife were again imprisoned. 21. (page 184) September 27, 1548 - CALVIN REPORTS his brother's wife to the consistory on suspicion of adultery. 23. (page 210) October, 1551 - Hierome Bolsec imprisoned for his opposition to predestination. There he was immediately interrogated. 24. (page 211) December 23, 1551 - Bolsec sentenced to banishment on penalty of public whipping if he returned. 25. (page 223) Spring, 1553 - Proofs against the heretic Michael Servetus were gathered in Geneva in CALVIN'S ENTOURAGE. 26. (page 223) April, 1553 - Catholics were provided the evidence. Servetus is interrogated but escapes. 27. 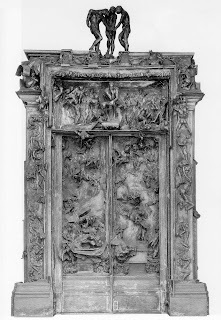 (page 223) August 13, 1553 - Servetus arrives in Geneva and is arrested and imprisoned. 28. (page 223) September 15, 1553 - From prison, Servetus writes a letter to the Council complaining that Calvin was deliberately prolonging his stay in the worst prison conditions. He complains of being eaten alive by insects and having no suitable clean or mended clothes to wear. The official charges, 1) denial of the Trinity 2) rejection of infant baptism. 29. (page 223) October 27, 1553 - After refusing to confess, Servetus is burned alive at the stake. Calvin apparently tried to change the manner of death to something other than burning at the stake, but he was unsuccessful. 30. (page 198) February, 1555 - Elections favorable to Calvin. 31. (page 198) May 16, 1555 - A riot ensues after the elections. Perrin (a leader of the opposing faction) seized the baton, which symbolized the office of Syndic giving the appearance of a coup d'etat. Perrin flees along with his associate Philibert Berthelier. 32. (page 198) After May 16, 1555 - CALVIN CALLS for repression. 33. (page 198) Monday, June 3, 1555 - The guilty are judged in absentia. Perrin is condemned to have the hand of his right arm cut off (the hand with which he grabbed the baton.) He and his accomplices were condemned to decapitation, then the heads and Perrin's hand were to be nailed up in public and their bodies cut into four quarters. The brothers Comparet received the sentence of decapitation and their bodies are to be quartered. All who didn't flee were executed. Two other men, Claude Galloys and Girard Thomas were put in a sort of pillory in two different parts of town. Galloys also received the sentence of having to carry a torch and ask for mercy. Berthelier's brother Francois-Daniel is among the victims of the repression. CALVIN JUSTIFIES the severity of their sentences. 34. (page 253) March, 1556 - Those who broke measures barring the mixing of men and women were subjected to public humiliation in the collar (a sort of pillary). 35. (page 253) December 31, 1556 - Jacques Lampereur was imprisoned for having made strong statements against the edicts last proposed on fornications, saying that we are under the law of grace and that is would be judaizing to condemn adulterers to death. 36. (page 184) January, 1557 - CALVIN'S SISTER-IN-LAW was imprisoned again for having committed adultery. 37. (page 180-181) October, 1568 - A pair of men were executed for sorcery after CALVIN EXHORTED his contemporaries to pursue sorcerers in order to remove all of them from the earth. 38. (page 181) 1568 - Another sorcerer admits his guilt under the torture of having his feet burned. He later recants his admission and is banished forever from Geneva. From this survey of the life of John Calvin, we find that 38 people were executed during his time in Geneva. Some were burned alive. Others were decapitated and quartered afterward. Most were tortured first. Many more were imprisoned and tortured. The great majority of these people were accused of sorcery for spreading the Plague. For at least two men, the crime was little more than a public denunciation of Calvin himself. And in cases such a Michael Servetus, Calvin's premeditated determination to kill was made readily apparent by a letter written six years before Servetus had ever been brought to trial." I think it is important to remember the history of religious intolerance. 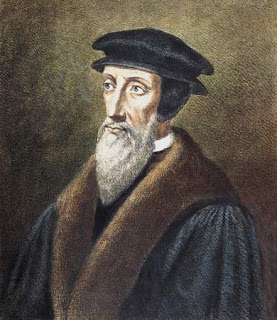 Calvin would be considered mild compared to other Christian theocracies of the time. What is bordering on insanity is the application of these types of measures to insure a "good" society. This might bring some insight into why Christian culture finds sexual sins far more disturbing than violence. The other insanity is the ability of Christianity to condemn radical Islam without condemning its own radical history of violence. A picture of a god who tortures people for all eternity in a most horrific way is obviously a myth made up by men to manipulate and control other people. What is puzzling, as in many understandings about the nature of humans, is the ability of such an insane belief to propagate itself over so many generations. I can understand why a tyrant would want to use fear, absolute obedience, restriction of information, and the threat of violence to maintain control of a nation. What is baffling is why, in a country defined by freedom, we would want to worship one. Hey Richard. Yeah this is Wes. How about putting a link so everyone can see the whole blog. How my concern for you is not that you perish. I know that is a horrible thing. You missed all the quotes on how I want to take over the government and make you bow your knee. Dude put it in context please. If you think thats what Christians want to do then again you really have no idea what it means to be a christian. Hey love the en-route website. When you are singing songs about Jesus do you feel like a hypocrit? or when you sing amazing grace what was your wretched soul saved from? The twist and turns are amazing. How do you do it? I am so confused. The link is there. You will note that I did not say that you were trying to take over the government. I can point you to a number of fundamental Christian organizations who have stated their intent to make the United States a Christian nation based on their interpretation of that. So, yes, I think that for some, that's what it means to be a Christian. Like I said in the dialog, I appreciate the philosophy and wisdom teachings of Jesus. I read Jesus more as a mystic. There is certainly a good precedent for that, considering all the parables he told. Amazing Grace is a universal song that appeals to many different experiences. I think many of us have felt wretched in our lives. It doesn't follow that we need a particualr theology to find grace. I can understand how, with your approach to belief, you would see this as twists and turns. Thanks for including the information on Calvin. He wasn't much different from the Roman Catholic church of his day, with their inquisitions. May the MOST humble win!! !